Spying costs money. The Philadelphia school that was accused of using its school laptops to spy on unsuspecting students has entered a settlement with the students with a payment of $610,000 which covered legal fees and damages. 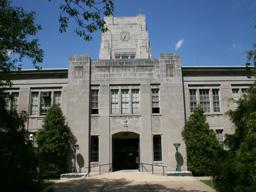 The school in questions, The Lower Merion School District was the target of a lawsuit after a student was brought up to the principal for supposedly taking drugs which turned out later to be sweets. The student was shown photos as evidence which raised questions as to where exactly they came from. This lead to a lawsuit where the school was forced to admit to spying on its students using the webcams of its laptops. The case was settled yesterday with 15 year old Blake Robbins cashing $185,000 in cash put in a trust for him. Another student will receive $10,000. Apart from paying off the students the school had to pay off legal fees amounting to more than $425,000. Blake Robbins’ lawyer received $260,000 at the end of August after the court ordered the payment. The schools insurer, Graphic Arts has already paid $1.2 million in litigation fee. Laptops these days have small high resolution cameras that are hard to detect if they are turned on. This could result in a serious risk of privacy similar to the School case. Next World’s Largest 3D TV!